Sunday Oct 21 UPDATE: 5 inches of snow at the top of the Hurley Pass! It’s that time of the year again! Snow season! 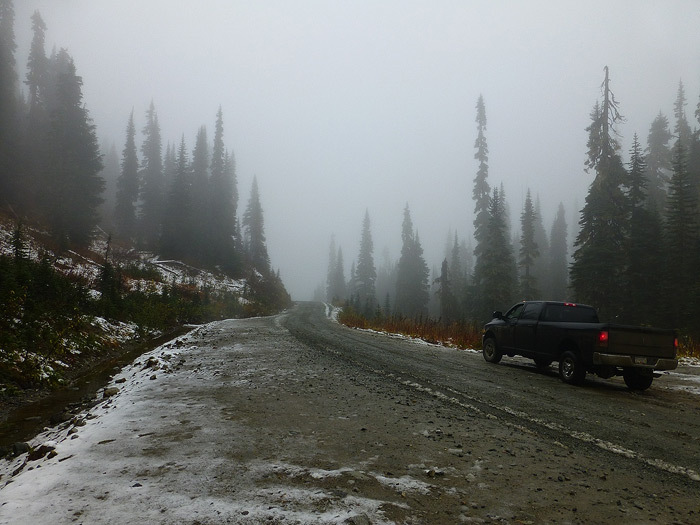 Small amounts of wet snow has fallen at the top of the pass this week but it melts fast on the road. The weather forecast is for cold, snowy weather this week and conditions are changing constantly. Snow can fall on the Hurley at anytime now so if you decide to drive across, make sure you are prepared for all driving conditions. Winter driving skills, 4 x4 and good winter tires are recommended for travel. Chains and a survival/safety kit are good things to carry in your vehicle. The road condition is extremely rough! Take your time and enjoy the fact that you are not in city traffic! 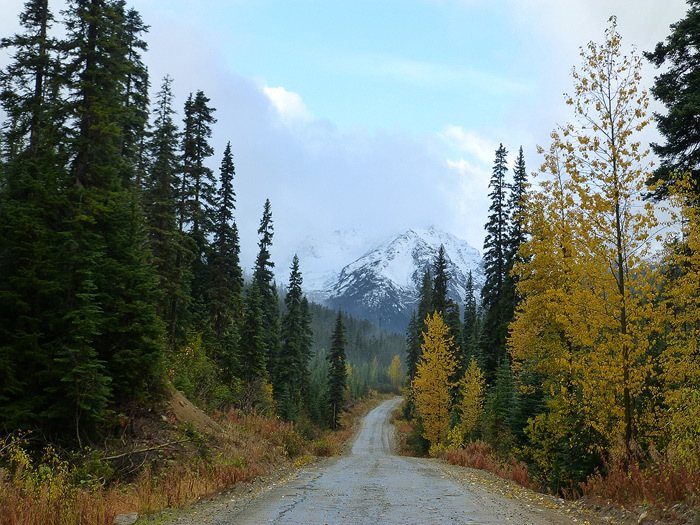 The fall colours are still amazing on the entire length of the road right now and it’s a stunning drive. This site is updated by the users of the road so if you drive the Hurley and have a snow/condition update to report please email info@bridgerivervalley.ca with updates and photos. Thank you and enjoy your drive! Fall colours are spectacular on the Hurley!